In present day, fans are no different than they were in 1915 with the first fan club. Fans enjoy this participatory culture we now call fandom. Fans today have found a place to belong just as they did all those years ago. 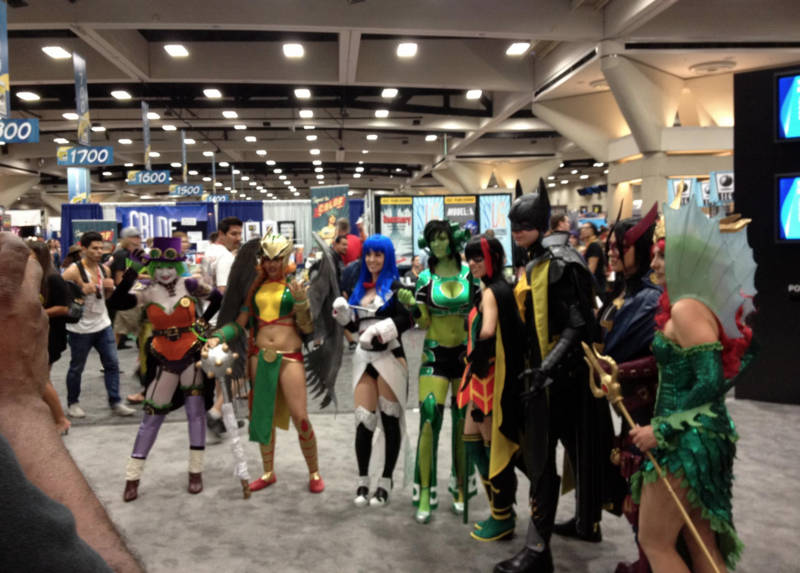 There is camaraderie and a sense of family within most fandoms, and they share their passions with like-minded people. With new technology and a better understanding of the psychology of those who participate in fandoms, we have become more educated on fan culture. Are fans trying to find out what goes on behind the scenes as in old Hollywood? Hardly. Fans are savvy to the business aspects of Hollywood in the 21st Century. It is no longer about finding authenticity; it’s about being happy, sharing and providing a way to help those favorite media objects, which brings me back to the fan affect theory. Most fans find themselves wanting to provide for their favorite movie or celebrity campaign because they simply enjoy it. Fan clubs all over the world are rooted in “fan agency.” Fans will tell you they do it because they love it. No one is twisting a fan’s arm to donate or become a fan; they become fans because they love the medium, and they do it because, for whatever reason, it brings them joy. Basically… helping out a celebrity, television, or movie campaign can make one happy, and this is what many fan theorists call the “Fan Affect,” emphasis on the short “A.” In the book, The Affect Theory Reader (2010), it states, “Affect is the name we give to the ‘visceral forces’ that ‘drive us toward movement, toward thought and extension’” (Gregg & Seigworth, 2010, ch. 1). Affect seems to be a state that one cannot quite put a name to, that moment when one is in the movement, acting upon one’s thoughts and feelings. It can make one euphoric, and it is emotional and strong. For example, the affect of joy brings a smile to a person’s face. So when a fan finally does get that joyful or “squee, OMG,” hand-over-mouth-in-shock moment, where they can’t contain their excitement or express it when they are meeting a celebrity in some way (like the Fangirls from Supernatural), the fan can very well have that “squee” moment of happiness. The fan’s pay-off is this affect emotion they receive for being a part of something bigger than themselves. Fans crave this affect and will do almost anything to continue to receive it (Gross, M., 2005). Fan affect could very well be considered an obsession or an addiction of sorts. In Michael Gross’s book Starstruck: When Fans get Close to Fame (2005), he shares the story of Winona Ryder and how fans went out of their way to sit in the star’s courtroom to support her while she was being charged for shoplifting, mainly doing so just for the purpose of gaining Ryder’s attention. I’m sure they had several “squee” and “OMG” moments while sitting there during the court case. The fans knew what Ryder did was wrong, but they didn’t care; here again the affect took over. Ryder signed autographs for these fans right after her hearing, and they were so excited about it that they went outside to show off to all the press who were reporting on the courtroom drama. The Press wanted to know more, and the fans, realizing how much of an influence they had on them, asked the reporters just how much they would offer to them for a glimpse into the signed autograph book (Gross, M., 2005). These particular fans not only suffered from the joy of being near Ryder, they knew they could make money and also garner some attention, both from the celebrity and the media for their devotion. I couldn’t help but think of the Affect Theory Reader’s chapter four on “Cruel Optimism” with Ryder’s case. This chapter goes into the “object of our desires,” and how those desires are really a cluster of promises we are hoping to fulfill with an attachment and close proximity to the object (Gregg & Seigworth, 2010, ch. 4). My research on fandoms resonates with this desire of our hearts. Fans willing to do anything for their favorite media object would be considered to have a cruel optimism. And because of these fans desires, most producers/creators of a crowdfunding campaign negotiates with fandom to get what they want, which includes fan labor. What is fan labor? It is not uncommon for fans to become exclusive for a particular medium and for the medium to offer special perks to the fans for their loyalty. Herein lies the perplexity of fan agency and labor. Jennifer Spence says it best when she shares the theory of labor when it comes to fans. She says, “Fans who launch campaigns to ‘save our show’ or protest storytelling decisions typically see their efforts as standard fannish practices, but these ‘labours of love’ must also be considered, as the name suggests, as labour” (Spence, 2014, p.1). Fans are happy to serve if they receive something in return, something exclusive that a non-fan would not be able to get. Exclusion can pertain to fan club membership, which can offer special announcements, events, and gifts for only those members. Media savvy celebrities and creators know their livelihood depends on their fans, so they provide “specials” to the fans in return for the fan’s labor. Earlier I explained about BNFs and hyper fans, as well as the hierarchy of fandom. Fans develop a hierarchy within their fandom community and with other fan communities for these particular perks and exclusions. 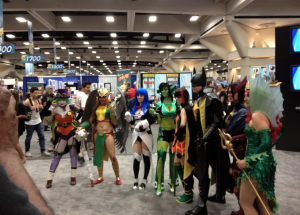 In the DailyDot article, “How the Corporate World Targets Fandom,” written by Gavia Baker-Whitlaw (2014), she talks about the desire that people have to be closer to their idols and how the corporate world is taking advantage of that. She says that even when the most noticeable of signs of closeness is a retweet from a fan’s favorite idol, it is enough to make the fan happy and share in the excitement with other fans, and it gives the fans some clout over the other fans. 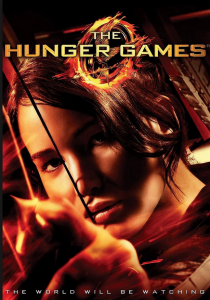 She shares the case of The Hunger Games Exploiter…er…excuse me, I mean Explorer site that offers points and badges to its members if they share the movie on other fan sites and social media, effectively doing the publicity for the studio (Baker-Whitlaw, 2014). Are the fans being exploited through this labor? Exploitation can mean the taking advantage of or the using of others for some sort of profit (Dictionary.com). In the case of Serenity/Firefly and Supernatural, fans were definitely exploited for their labor and treated unfairly for their efforts. In Winona Ryder’s case, fans went to the extreme to gain attention from her and the press. When fans blog about their favorite movie or show, share on social media, create sites, and devote much of their time to their favorite medium, fans are, in some respects, being exploited. Fans are performing as promoters and publicists and are doing it for free (Chin, B., 2014). Fans are willing to do the work if they believe in their favorite artist or celebrity, but fans also need to know that their work can be considered labor and exploitation. I want to take this a step further; we’ve discussed why fans give, but why to crowdfunding campaigns? I believe that donating to crowdfunding campaigns offers a participatory culture in a more legitimized way. Call it capitalism if you will, but it is a way to gain something in return for a fan’s devotion. First, fans not only become closer and have a shared interest in the campaign, but also I believe it is to further BNFs and super or hyper fans status in their participatory cultures, if they are part of one. Some of the BNFs may or may not realize it, but their status in the fandom offers them some influence and the possibility to become closer with their favorite media object. The fans who give can also claim bragging rights, with proof from the crowdfunding site they can let everyone know they were one of the ones who helped the campaign. It is a labor of love and agency, but the fan who donates is doing so because they will get a return on their investment and become shareholders. Second, giving to an established group, producers, or studio brings about a sense of empowerment for the fan. As mentioned earlier, they have more of a say so because they believe that the money they have given allows them some vested interest with the project. They see their donation as something more tangible, the money they are giving isn’t being “wasted” on a futile transaction, and instead it is a vested interest. Funding a fan-based campaign on Kickstarter is much more tangible than standing in line at some convention waiting for an autograph. The signing of the autograph between a fan and his or her favorite media object is a transaction, but it just might be more of a fleeting experience, once the transaction is over, it’s over, whereas the funding of a Kickstarter for a favorite movie or celebrity becomes a long-term venture. Finally, investing in the media object seems to be more reputable. For example, when a fan has given a money for a t-shirt, all they get is the t-shirt and they are out of that money they just spent on it. To donate to a campaign gives the fan a sense of pride and ownership. Buying a t-shirt is considered a selfish act, whereas donating to a crowdfunding campaign is considered more like charitable work. It is like giving to the United Way because the fan may believe it is a better way of spending their money. Fans love their media objects and are willing to do anything for them. Knowing and understanding the system of crowdfunding and the fact that it is for capital gains may give a fan second thoughts about why they give, and at least an understanding to how the entertainment industry relies on the fans for their labor and devotion for their own gains. Barbas, S. (2001). Movie Crazy: Fans, Stars, and the Cult of Celebrity. Falgrave Publishers. New York, NY. Softbound Book. Chin, B. (2014.) “Sherlockology and Galactica.tv: Fan Sites as Gifts or Exploited Labor?” In “Fandom and/as Labor,” edited by Mel Stanfill and Megan Condis, special issue, Transformative Works and Cultures, no. 15. http://dx.doi.org/10.3983/twc.2014.0513. Gregg, M., & Seigworth, C. (Ed.) (2010). 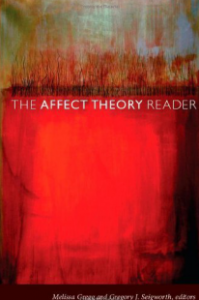 “The Affect Theory Reader.” Duke University Press. Kindle Edition.